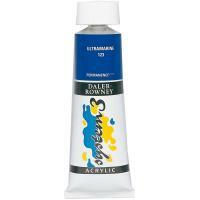 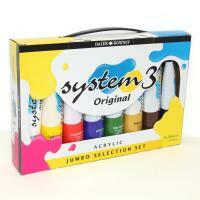 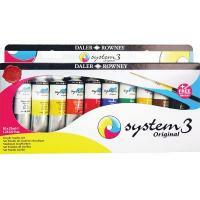 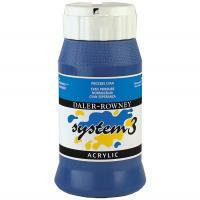 Daler Rowney System 3 Acrylics are ideal for the amateur and professional painter using colour in large quantities. 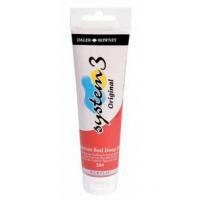 A range of 60 colours, all at the same economical price, are available in wide neck stackable 500ml bottles with screw top and flip up lid for easy and accurate dispensing. 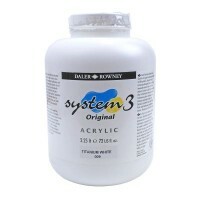 Perfect for painting large expanses - murals, theatrical scenery etc. 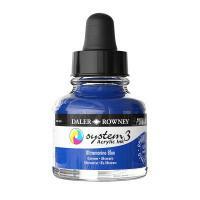 Only high quality pigments are used in the manufacture of System 3 Acrylics, with a greater loading than other colours available in their class. 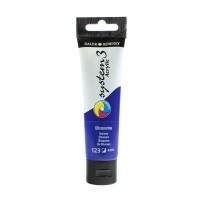 The full colour range is available in 59ml tubes, 150ml tubes and 500ml pots, and Titanium White is also available in a 2.25Ltr tub. 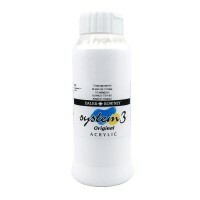 75ml UP TO 62% OFF RRP!